Whenever you want, wherever you want! Panforte Margherita gets a new look in miniature individually wrapped portions. 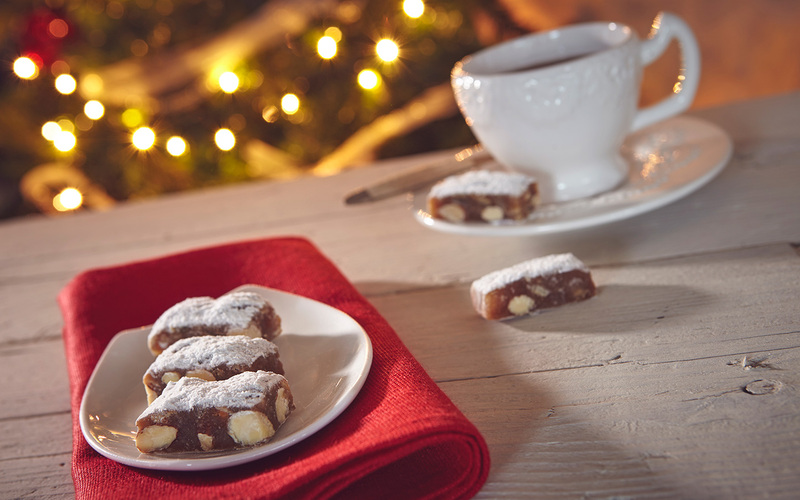 Enjoy little slices with almonds and candied fruit or other Delizie Toscane at any time of day… for small moments of pleasure, to give away or treat yourself. The sweetness of candied fruits blends with the crunchiness of almonds to create “delizie toscane” with candied fruits and almonds. 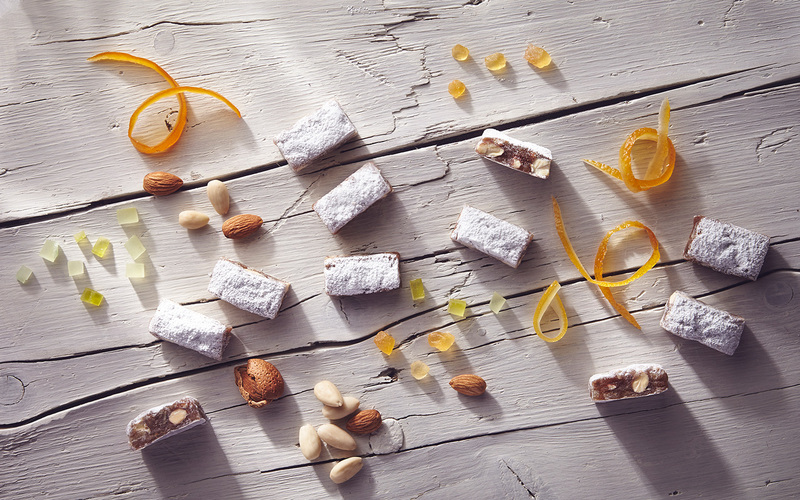 This delicacy comes from panforte, a sweet with ancient origins, a symbol of tuscan tradition. Small, individually wrapped slices to take with you for a delicious break at any time of day. 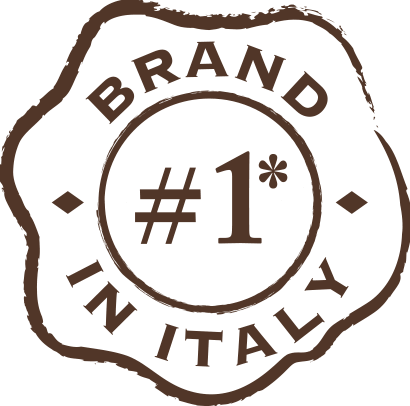 A moment of pure pleasure: a unique and rich taste, exclusive and authentic, genuine and scrumptious at the same time. 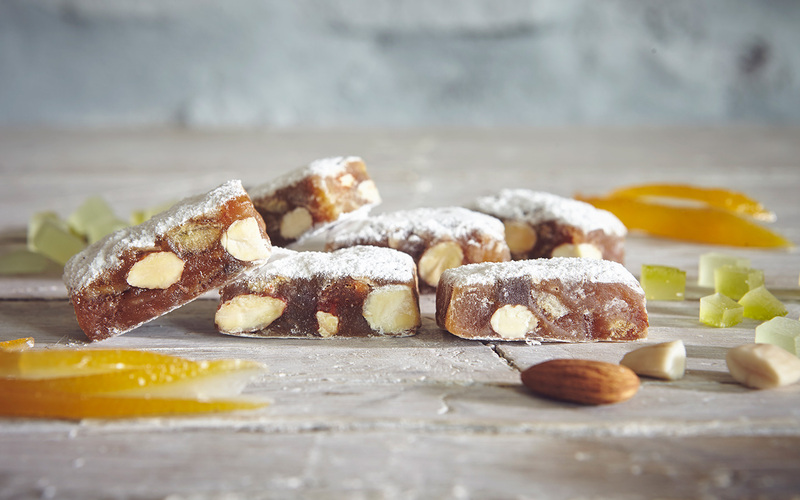 The blend of soft candied orange, citron and melon peels, crunchy almonds and the zest of spices in a recipe that’s irresistible... Bite after bite! Candied orange peel, citron and melon 36% (orange peel, citron, melon, glucose-fructose syrup, sugar, acidity regulator: citric acid, preservative: sulphur dioxide), sugar, wheat flour, almonds 15%, glucose-fructose syrup, icing sugar 2.9% (sugar, cornstarch), starch wafers (potato starch, water), mixed spices 0.3%. May contain soya and other nuts.